It’s summer! The weather is nice and summer excursions are even nicer. When it comes around to the summer, I like to try new sports or outings. This summer’s adventure is hiking and bike trails, but your Wrap Ring can follow you on the road or in any sport. The best part about our Wrap Ring is the easy way to put it on and to leave it on! No matter if you’re kayaking, biking or playing a hands on sport like tennis our rings can come along for the ride. There are so many more activities to do in the summer, why not try hiking around water falls, or, if shopping is your cardio, an outdoor mall. You’ll feel comfortable playing most sports with your own Wrap Ring, and it won’t slip off! No matter if you’re taking your Wrap Ring to the pool or cross country biking through the trails, try something new! Additionally, nothing is more fun than a road trip with friends, so take them along for the adventure. As consumed as we are by all the summer trends- accented sleeves, printed skorts and pom-pom sandals- it is nice to get away and put on athletic wear and head out doors! That is the best part about your Wrap Ring, you won’t need to make any fuss about trendy pieces, and one can keep the ring on for any athleisure ensemble. Forgetting about fussing over outfits is half the fun! The summer is all about relaxing and taking advantage of the beautiful weather, not impressing the great outdoors. Also, I’m an avid beach goer, and love splashing around in water, but it’s ok because my Wrap Ring does too! 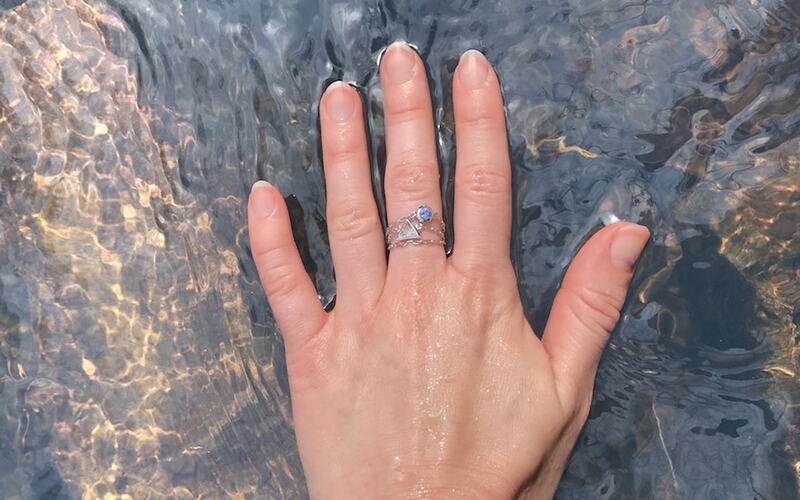 If you’re worried that your Wrap Ring is going to get dirty during your summer adventures check out our other blog post ! We also highly recommend sunblock and bug spray for protection in the great outdoors.